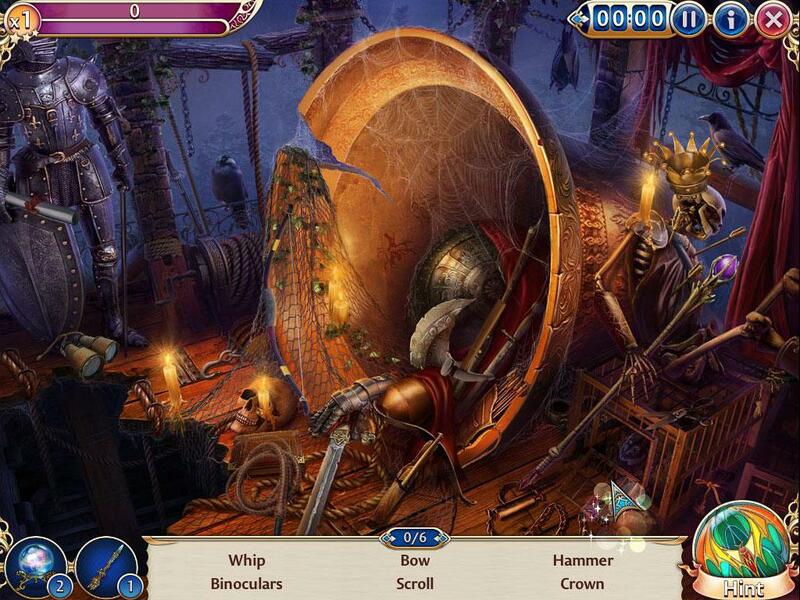 Midnight Castle is an exciting classic hidden objects game that is free-to-play. In this game, you’ll need to help other people with their wants and needs so that you can obtain the items that are required to unlock the Mystery Chamber, assemble them and then use them at the right location. Enjoy finding items from a variety of scenes that span the entire castle! If you needed help with any of the more difficult scenes, don’t forget to use your hints or even the power-ups, such as the crystal ball and wand! There are also achievements that you can strive for and pets that you can keep and take care of too! 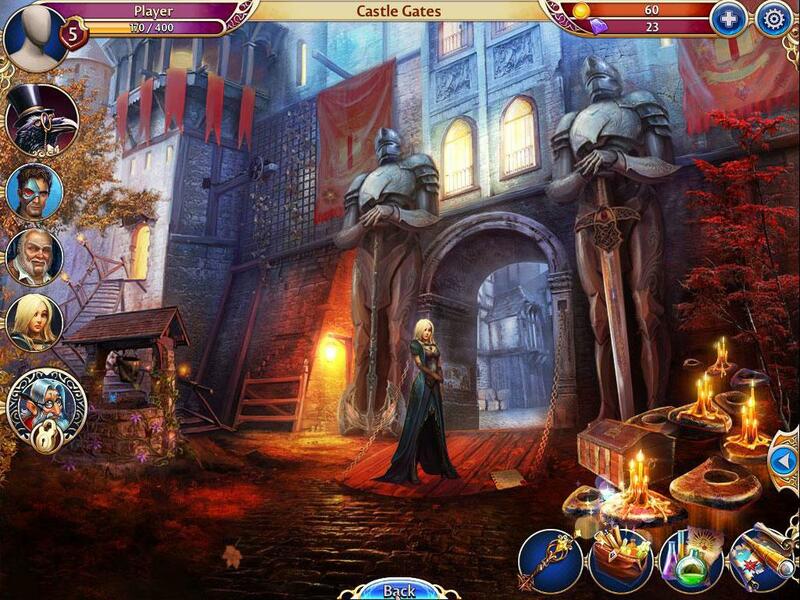 So, play Midnight Castle now and experience this fun-filled hidden objects adventure yourself now! After your uncle died, you took over the ownership of his castle and its Mystery Chamber. The Chamber, hidden far inside the castle, is rumored to contain the secrets of the hauntingly-looking castle that you’ve inherited. To find it though, you’ll need your uncle’s compass! Unfortunately the compass is in severe need of repair and you’ll need to fix it by finding the parts that you’ll need in scenes scattered around the castle! Can you finally enter the Mystery Chamber or will you give it all up while you’re inches away from the door? The gameplay in Midnight Castle can be a tad bit confusing at first. Thankfully, there’s the super-helpful Prof. Pinfeathers, a monocle talking crow to guide you along! 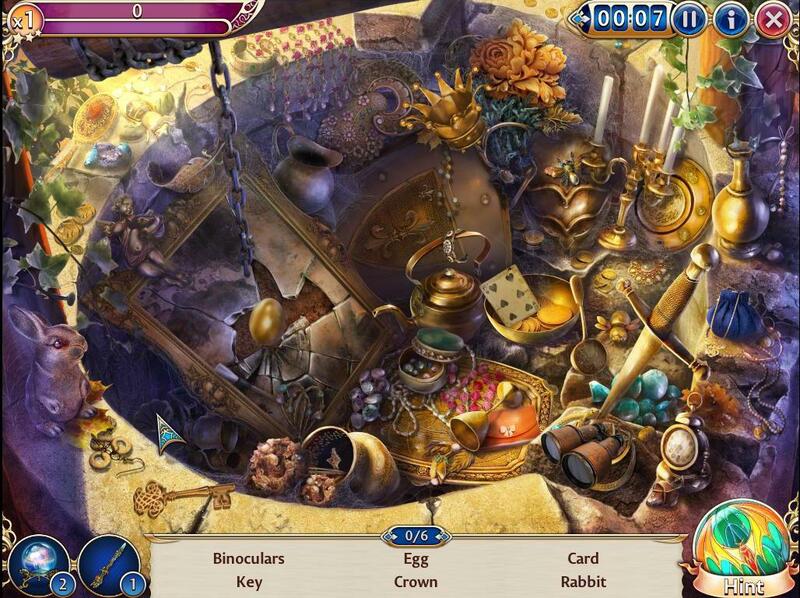 Being a hidden objects game, you will need to search for various items stated in the list from a range of scenes. Scenes are not very hard in this game – you’ll start off by finding 6 items and it’ll gradually increase as you increased the level of the scene. Each scene contains 5 different levels that you can attain by accumulating the scores you get from each completed game for that particular scene. The scenes are timed as well, so as to provide you with a time bonus and to boost up your score. The time is counting upwards and not down, so there won’t be a case where you ran out of time to finish a level… you have all the time you want, though you’ll earn much less score points if you take too long to find all the items on your list. There aren’t any costs (like energy points or lives) for you to play a scene either. After playing, you’ll just need to wait for the allocated cooldown time to expire, before the scene will become all sparkly again and you can repeat the scene, if you like. You can, of course, bypass all the waiting period needed by spending some real money. Despite being timed and that the locations of the objects that you’re asked to find are changed every time you play a scene, the game is truly not too tough to play! Furthermore, you can unlock new scenes by spending gold coins and sometimes, by providing the necessary items, which in turn can be earned by playing other levels. Once unlocked, you can play the said scene repeatedly as long as its cooldown is off its timer. The game contains quite a number of unlockable scenes and chapters, with more scenes becoming available to you as you go along! There are even 2 chapters that are currently “under construction” and will provide you with unique and fresh scenes to play in the future! Most locations in any stage in Midnight Castle will also contain a buyable ‘premium scene’ whereby instead of actually unlocking a new scene, you’ll be unlocking a super-useful function or it’ll allow you to enjoy a simple mini-game. Some examples include a game of dice and deploying an airship with any items that you can spare from completing levels to get special rewards. 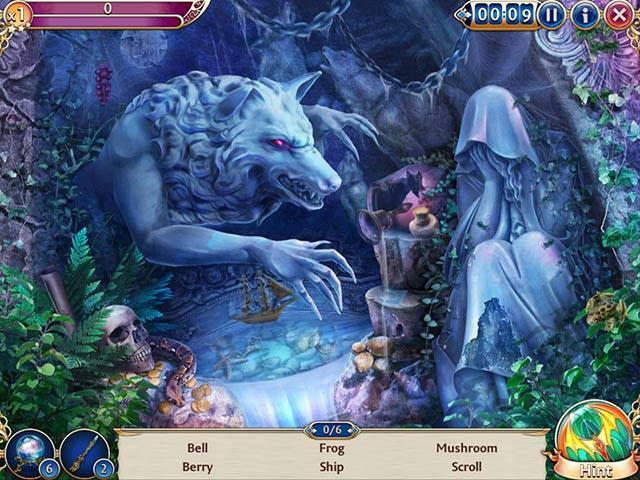 In Midnight Castle, you’ll need to complete quests by helping people collect the required quest items via playing scenes. Each scene has a determined range of items that it drops, so be sure to go to the right scene to have a chance to get the items you want! Finding items in one scene may grant access to items in other scenes too! If you are having some troubles trying to find the items you need, Midnight Castle provides unlimited hints that you can use. However, each hint will reduce a sizable amount of your final score points and it also has a rather long cooldown. Hence, you should use hints in this game sparingly. There are also power-ups, namely crystal balls and wands to help you out! Crystal balls highlight all items from the list, while wand collects all items instead! There is also a crafting aspect in Midnight Castle. 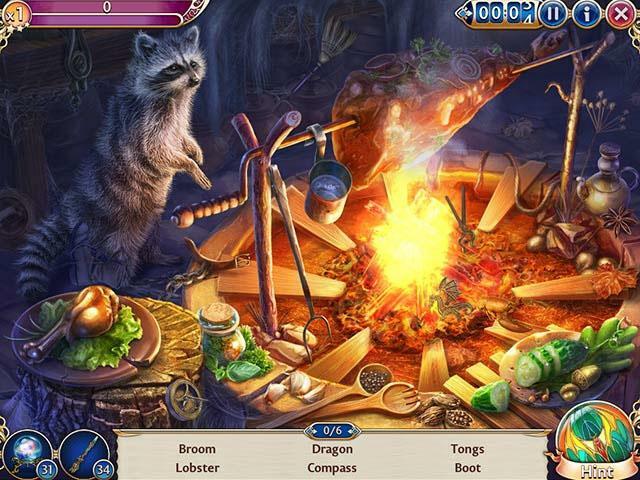 Using the items you’ve earned from playing the hidden objects scenes, you can combine them to form quest objects that you can then turn in for additional coins and experience points. You could even craft your own pets using materials collected from scenes as well! The crafting process is instant, thus you won’t need to wait or spend any real money to speed things up. Isn’t that awesome? Besides all these, in Midnight Castle, there are achievements that you can acquire as well as stamps to collect too. So, be sure to check the game out for yourself to experience the fun! Admittedly, the Facebook fan page of Midnight Castle does have a lot of likes. This is likely because the game is still relatively new and that there isn’t quite as much promotion done for the game by the publisher, The Big Fish Games. However, the site is very active and is a great place for fans of the game to hang out, meet and add new friends, and get help. The graphics in Midnight Castle are truly astonishing! 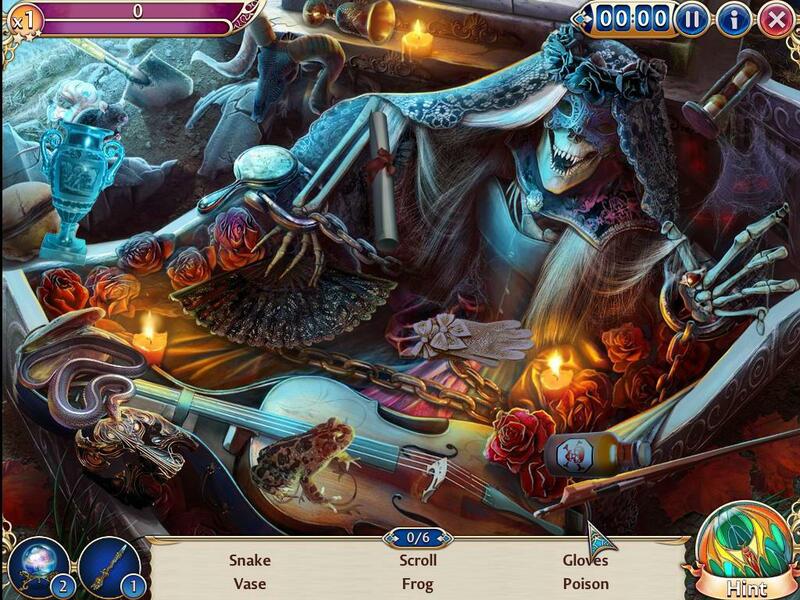 The details are very intricate, like all hidden objects games should be, and the sceneries are mostly dark and gloomy, which fits perfectly to its theme! Furthermore, due to its “midnight” theme, the music in this game is rather haunting and mysterious in nature. It’s also nice that the music in the game has quite a variety as each scene in this game has its own soundtrack. 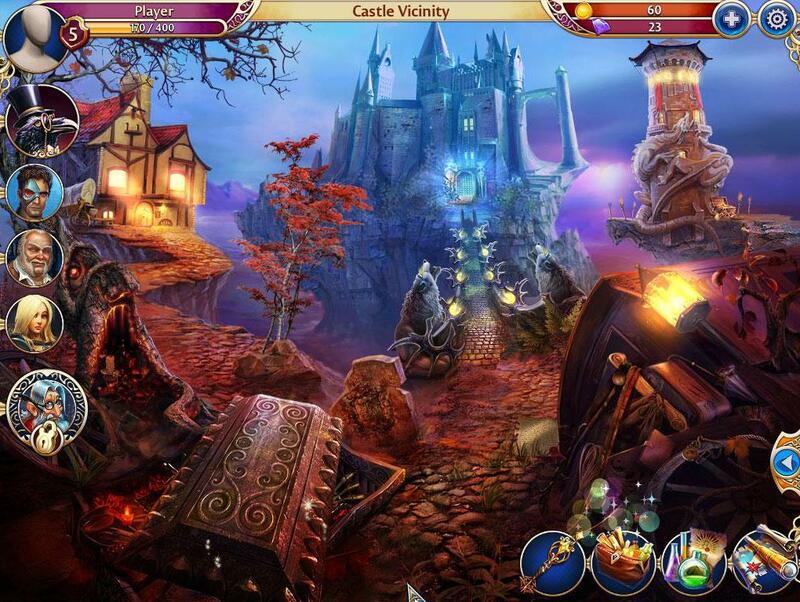 In short, Midnight Castle is a very enjoyable free-to-play, classic hidden objects game with a rather dark theme. 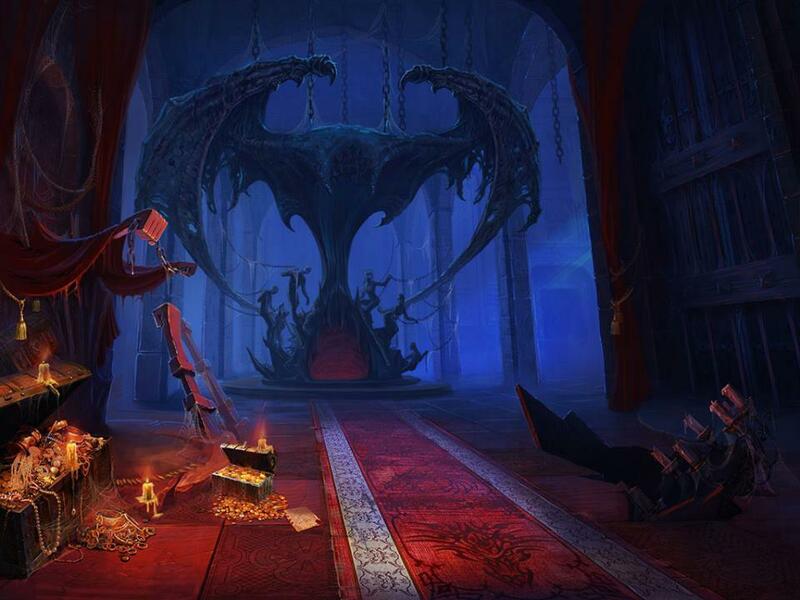 After your uncle died, you inherited his castle which contains the Mystery Chamber. In an attempt to find out the secrets of the castle, you will need to find a way to go into the Mystery Chamber. The game sets you off on the quest to find the items needed to access this very secret chamber from various scenes in various locations around the castle. 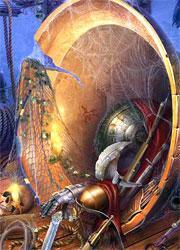 If you encountered any problems while playing, you could supplement your gameplay with power-ups, like the crystal ball and wand, or by using hints. You can also combine the items you found to create a whole new quest item to turn in for some sweet rewards! The game also offers mini-games, such as a game of dice, that you can play to quickly turn over your money… or not, depending on your luck! 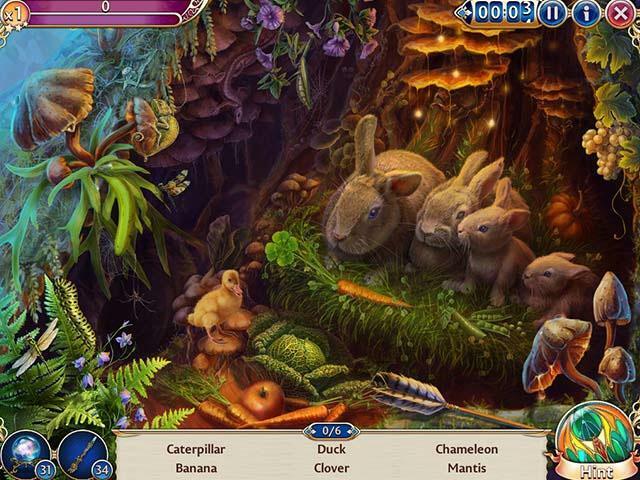 If you enjoy hidden objects games that are darker in nature, you should really try playing Midnight Castle! Don’t wait - do it now! by Aethyna Mar 23, 2015 After your uncle died, you inherited his castle. In an attempt to find out the secrets of the castle, you will need to find a way to go into the Mystery Chamber. The game sets you off on the quest to find the items needed to access this very secret chamber from various scenes in various locations around the castle! Read More Be the First to Post a Review!